“REO” or Real Estate Owned are homes which have been foreclosed upon and are currently owned by the bank or mortgage company. This differs from a property up for foreclosure auction. When buying a property during a foreclosure sale, you must pay at least the loan balance plus any interest and other fees accrued during the foreclosure process. The buyer must also be prepared to pay with cash in hand. Finally, you’ll receive the property totally as is, without the opportunity of seeing it inside. That possibly will include existing liens and even current denizens that need to be evicted. A bank-owned property, on the other hand, is a much cleaner and attractive proposition. The REO property didn’t find a buyer during foreclosure auction. Now the bank owns it. The lender will handle the elimination of tax liens, evict occupants if needed and generally arrange for the issuance of a title insurance policy to the buyer at closing. Note that REOs may be exempt from typical disclosure requirements. For example, in California, banks are not required to give a Transfer Disclosure Statement, a document that ordinarily requires sellers to make known any defects of which they are knowledgeable. By hiring me as your buyers’ agent, you can rest assured knowing all parties are fulfilling California state disclosure requirements. Am I guaranteed a good deal when buying a bank owned property in Irvine? It is commonly thought that any REO must be a good deal and a chance for guaranteed profit. This isn’t always the case. You have to be prudent about buying a repossession if your intent is to make a profit. While it’s true that the bank is often eager to offload it soon, they are also looking to get as much as they can for it. Look carefully at the listing and sales prices of similar homes in the neighborhood when considering the purchase of an REO. And factor in any repairs or upgrades necessary to prepare the house for resale or moving in. 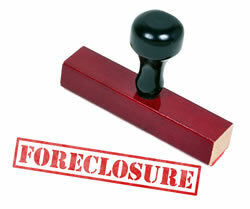 There are bargains with potential to make money, and many people do very well buying and selling foreclosures. But, there are also many REOs that are not good buys and may lose money. 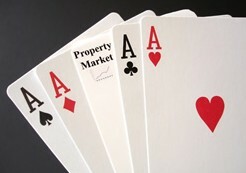 Most lenders have staff dedicated to REO that you’ll work with in buying REO property from them. To get their properties advertised on the local MLS, the lender will typically contract with a listing agent. After you’ve made your offer, you can expect the bank to make a counter offer. From there it will be your decision whether to accept their counter, or submit another counter offer. Understand, you’ll be dealing with a process that most likely involves several people at the bank, and they don’t work evenings or weekends. It’s not unusual for there to be days or even weeks of going back and forth.